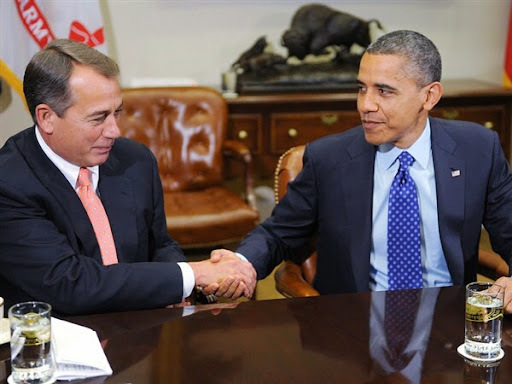 PORTEmaus: Boehner v. Obama - What is a little legal action between friends? 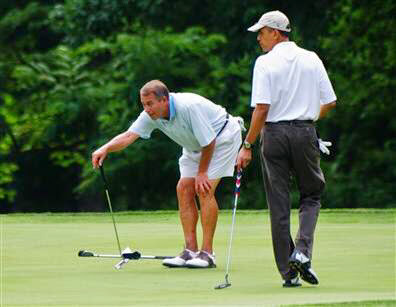 Boehner v. Obama - What is a little legal action between friends? Gasp! The villain! He must have the nation pinned beneath the weight of his arm and the blade that is executive action. Boehner, my good chap, how do I join this legal campaign of yours to end his tyranny? I have to ask, how many times has this scoundrel used this secret weapon in the past sixty-five month? 300...? 700...? Over a thousand? Am I hot or cold? 182. Wait, what? Well, that doesn't sound so bad, Boehner be a lad and give a brother some context. Let's take a look at the previous five commanders in chief shall we: Reagan - 381, Bush I - 166, Clinton - 364, Bush II - 291 and Obama - 182. It seems like Obama's usage is in line with the presidents that preceded him save for Bush I. Which if one thought about it logically, Obama's usage is not extreme and if it is, why is Boehner pursuing a reckless lawsuit with little chance of success? Elementary my dear Watson, he is simply engaging in political theater with the hopes of riling up the base. Nothing like engaging in a frivolous lawsuit that will be paid with taxpayer money. Sign me up! Let's all waste political capital and effort on suing the President... Yeah, that makes sense! I guess frothing at the mouth over the Affordable Care Act has become a little stale. It will be interesting to see how this plays out since a recent poll puts fifty-percent of the participants against this pointless lawsuit.